What is it and who is it for? 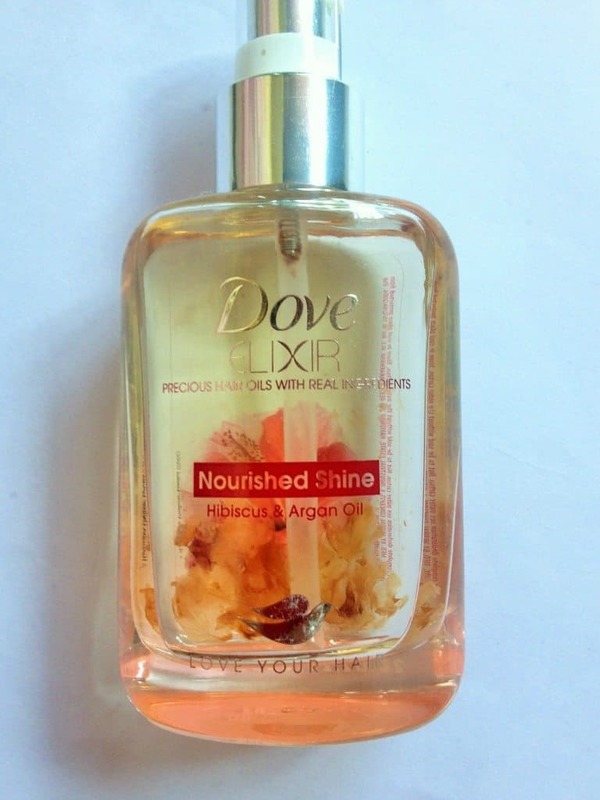 Dove Elixir Nourished Shine Hair Oil Hibiscus and Argan Oil is a hair oil that can be used by anyone, Male/Female/Others, but it’s better to not to experiment small children with this product. 90ml for Rs185. You may find it for less on various websites. (using as oil )While using it as the oil you can apply it on your hairs and leave it overnight. Make sure you remind yourself that the product is not homemade and does contain some chemicals. It will work best if don’t overuse it. It is not necessary to dip every strand of your hair in the oil. Take a few drops, cover your hair from roots to the end and give a good massage. You may oil your hair before 30 mins as claimed by the brand. Don’t forget to shake the bottle once before using it. (using as serum )You may apply a few drops of it on your wet hair to use it as serum. It worked like a magic wand for me. I had always been wandering in search of oil which could help me manage my obstinate hair and the elixir came to the rescue. Now at least I have a shoulder to cry on. The amazing thing is that if you apply it in the right amount, it doesn’t look oily. So the next time you have to go to the market after applying oil, you won’t be thinking twice before making your move. One more feature of this product which pulled me deep down in love with it is its fragrance, the smell is amazingly breathtaking. I don’t even want to wash my hair after applying this oil. Although I don’t observe much of shine in my hair, it has surely nourished it and treated my hair fall up to a great level. The petals in the bottle and the pretty bottle itself is an appreciable try by the brand to attract consumers. The packaging and the presentation will surely take away a big number from your bag and to add to the list, the quantity provided is more than enough for a 4 month period. So the return is much more than the investment you make. I would not think twice before buying it again and again and yet over again. Overall, would I repurchase and recommend? Definitely yes. If I had enough money, I would distribute Elixir free of cost. But as of now, You will have to buy it. Try once. Your hair is definitely going to thank you for this much-needed product. If the chemical content had been a bit more decent, nobody would think of giving it less than 10 on 10. It actually makes you LOVE YOUR HAIR.